Really tired of dropped calls and poor voice quality? Poor cell phone signal also disturbs seamless messaging, email, internet speed to mention a few. Here comes a solution to get rid of this issue. Following these seven magic tricks will help us overcome cell phone signal issues. Clearing out obstruction: Our cell phones and cell phone towers play a Hide and Seek game. When there’s a clear line of sight between them, it’s easy for the two to hear each other. But when there are obstructions in between, it gets very difficult for the two to communicate. Simple tips like moving outside, getting near a window, and avoiding barriers such as trees, hills, and tall buildings should help you get better reception. Also, the higher you get, the better the signal. Weather may also affect reception, like rain, snow and thunderstorms. Locating the nearest cell phone tower: Finding the closest cell phone tower locations helps effectively when it comes to getting the best reception: the closer your phone is to the tower, the better the signal strength. Best way is to find cell tower locations by the major carriers (Verizon, AT&T, Sprint, & T-Mobile). Technically, Cell phone signals are measured in dB (decibels). All these devices operate within this standard:-50 dB to -110 dB frequency. -50 dB is considered full strength (full bars). -110 dB is considered a dead zone. Keeping the battery full: These simple practices would help the battery not to drain soon. Cell phone Antenna should not be blocked: Holding the phone sideways, our hands tend to effectively block our antenna from the cell tower. Although the newer smartphones are designed in such a way to combat this problem, with a smartphone in a rugged case and gripped with both hands, you’ll still get the occasionally no-signal issue. To avoid such antenna problems, one should try holding the phone in an upright position with our antenna free of a blockage. This helps to increase cell phone reception. Using Wi-Fi Network effectively: Considering now, T-Mobile and Sprint offer full wi-fi calling support, while AT&T and Verizon only support wi-fi calling on select phones (Apple iPhone 6 & later models for AT&T and Samsung Galaxy S6 & later models for Verizon). 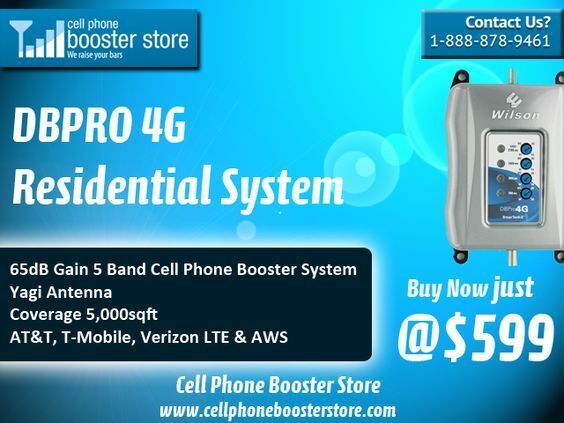 Thus connecting your cell phone to an already existing landline internet should be able to help boost reception service. Changing Network Carriers: Verizon has more 4G coverage nationally, but if you live near an AT&T cell tower, you might have to reconsider. Perhaps talking and texting is more important to you than internet data, so T-Mobile’s or Sprint’s 3G plan might be more cost effective. Adding a bonus to these magic tricks, would be using WeBoost Cell phone booster. This is been proved to be the most reliable solution.